Companies are almost always interested in knowing when they or their close competitors are mentioned in relevant media. To accomodate this, the online magazines BygTek.dk and Byggeri.dk ordered a flexible media monitoring & customer reporting system. I programmed an interface for registering companies and contacts and made it easy to add the keywords that each of them were interested in monitoring, such as the company name and names of products. 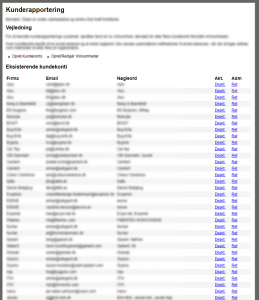 Via a daily Scheduled Task, all new magazine articles are scanned in order to detect mention of any of the monitored keywords, so that notification emails can be sent to the contacts. 14 days later this is followed up by a second email providing info about number of pageviews and total time spent by readers on the articles in question. The system is programmed in PHP with a MySQL database, uses Scheduled Tasks configured on a Windows Server, and PHPMailer for sending out emails. Statistics on pageviews and time-on-page are based in part on the site’s own tracking systems, and in part on numbers extracted from Google Analytics via Google’s Core Reporting API for PHP. 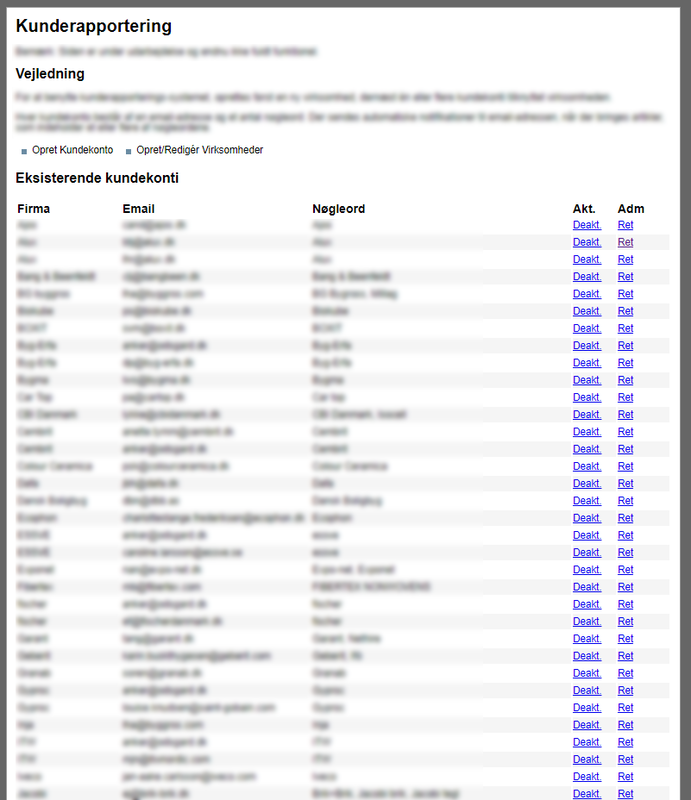 Another screenshot from the admin interface, listing contacts by company, email-address, and monitored keywords with options to add new companies and contacts and activate/deactivate or edit existing ones. Sample email sent from the system as it appears in Outlook, listing relevant articles, pageviews and time spent by readers on each one.